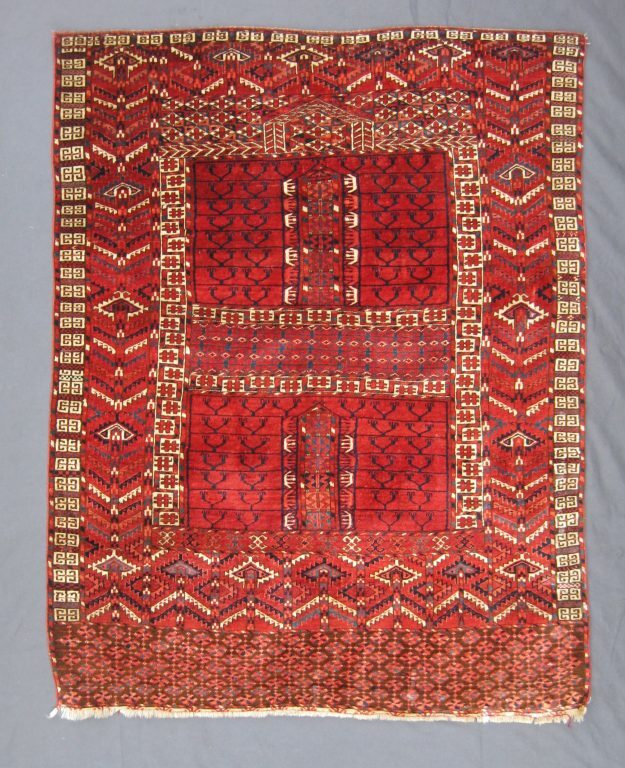 This Turkoman tent door rug was made by a member of the Tekke tribe in the third quarter of the 19th century. It has the typical layout of four panels in the inner field reminiscent of door panels, which might not be a coincidence since engsis were used to cover the entrance to the tent. The panels are subdivided into seven horizontal layers in the bottom half and eight in the top. Each layer has two forked elements on either side of the panel. The main border with fairly large tree-like plant designs is framed by borders with a strictly geometrical pattern. The bottom border called elem is on a ground of undyed dark brown wool and completes the traditional format of an engsi. Engsis were part of the dowry and as such were important marks of the wealth of the bride’s family. This is why they were often made with the best wool and dyes, especially in the earlier examples. This particular piece is a generation older than most engsis on the market, which tend to become smaller in size and more crowded in design towards the end of the 19th and into the 20th centuries. 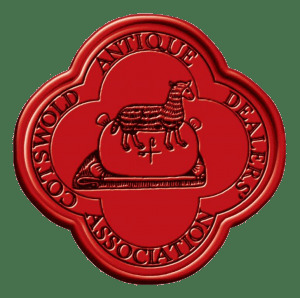 It has richly saturated colours, especially the madder red, and great quality wool with the feel and sheen almost of silk.